With this license you can compile games for Windows, Mac OS X, Linux, iOS and Android. The product may be used by multiple developers who are members of your team. This license allows to digitally distribute your games on Windows, Macintosh und Linux. It is not allowed to commercially distribute your game on iOS and Android. Only non-profit games are allowed for iOS and Android. For commercial distribution rights on mobile platforms a mobile license must be purchased. With this license you can compile games for Windows, Mac OS X, Linux, iOS and Android. A compiled game consists of one or more files that can no longer be edited by the Visionaire Studio Editor. The Visionaire Studio Team has the right to determine which bug fixes and feature updates will be included in each update of Visionaire Studio. 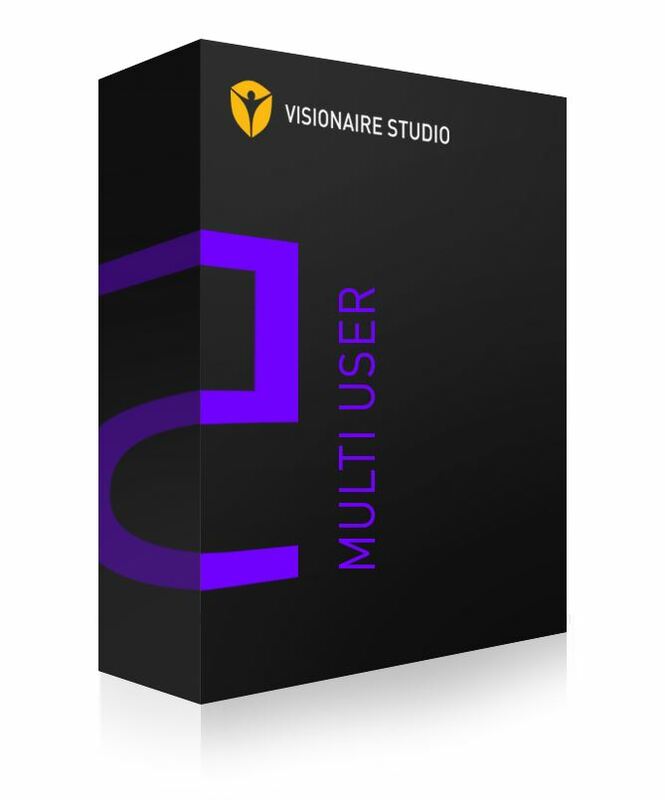 All updates and bug fixes of Visionaire Studio 4 and 5 are provided for free to license holders. A new license will be required for Visionaire Studio 6. If there are any doubts or concerns about which license model applies to you, then please don't hesitate to contact the Visionaire Studio Team, for further information.